For these two arguably most important spaces in the home, builders should choose products that offer both convenience and style. The kitchen is the hub of the home, and homeowners are prioritizing products like Franke’s Chef Center workstation sink that make it a versatile space where they can cook, entertain, and gather all at once. In bathrooms, home buyers are looking for minimalist spaces that provide a spa-like feeling for a personal retreat from their busy lives. Freestanding soaking tubs, like Toto’s contoured Flotation Tub, do just that, with a majority of homeowners reporting a preference for that style over built-in models. Smart technology also is an important part of these spaces. Wi-Fi and smartphone app control are now standard functions of most kitchen appliances, and as for the bath, Kohler’s new Kohler Konnect platform incorporates voice control capability into faucets, mirrors, and toilets. Here, BUILDER selected products that create a homeowner’s ideal kitchen or bath space that offers both convenience and style. 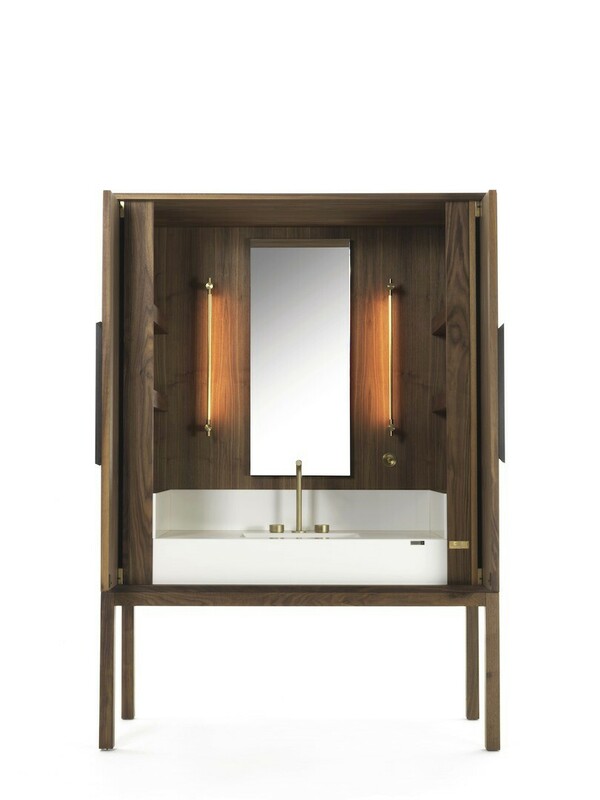 A collaboration piece among Dekton by Cosentino, Italian furniture maker Riva 1920, and architect Daniel Germani, the freestanding DeKauri wood vanity credenza conceals the sink and countertop in the bath. The piece is constructed from Kauri wood sourced from New Zealand and features a built-in sink and countertop made from Cosentino’s Dekton surface, a material that requires little maintenance, offers low water absorption, and is stain, scratch, UV, and impact resistant. DeKauri can also be constructed from inlays of walnut, wenge, or cedar. 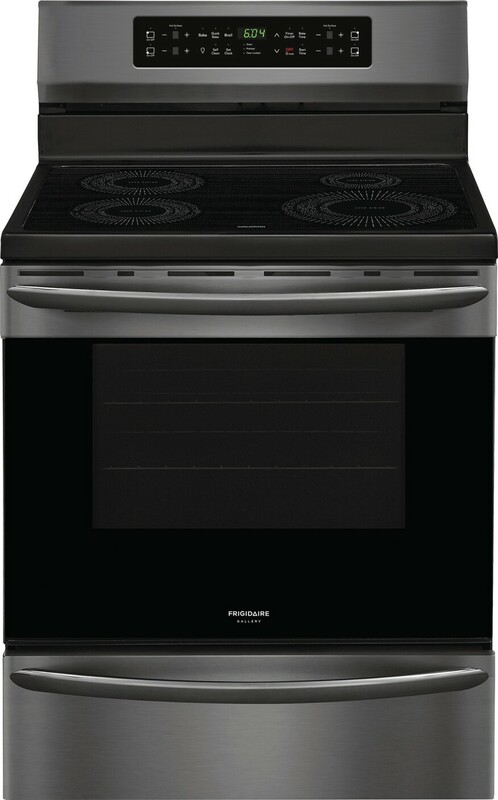 In an effort to make traditionally expensive induction cooking more accessible to consumers, Frigidaire designed an induction range as part of the company’s Frigidaire Gallery collection for less than $1,000. 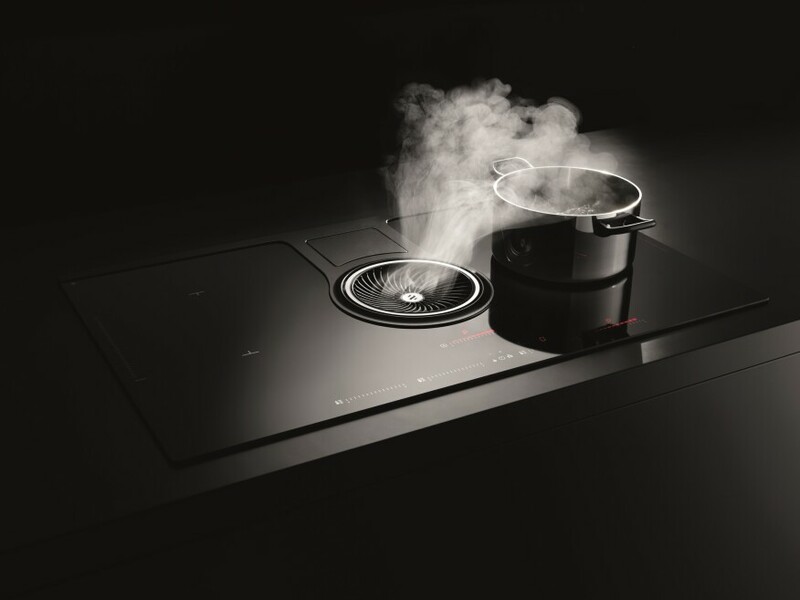 Induction cooking is appealing for its speed—since heat is transferred directly to cookware, not the surface of the cooktop, food heats up and water boils 50% faster than a traditional electric cooktop. The stovetop has a True Temp Melt & Hold feature, is easy to clean, and cools quickly for a safer surface, and the oven has a convection option for faster cooking. The range comes in a smudge-proof black stainless steel or stainless steel finish. 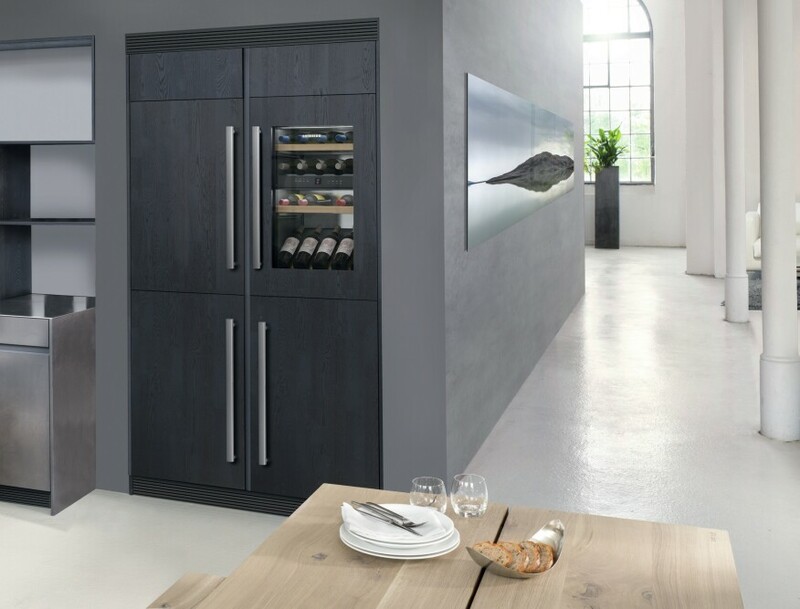 Liebherr is bringing a luxury touch to the kitchen with fully integrated wine cabinets. The company’s HW series offers three sizes: 35, 48, and 70 inches, with space for 30 to 83 bottles depending on size. The cabinets are offered with pantry style installation with options for black, white, or custom TipOpen glass doors, which open when lightly tapped and have a self-closing feature. The cabinets are engineered to preserve the quality of the wine—an insulated glass door and LED lights work together to protect the collection from UV light; an active charcoal filter prevents unintentional odor transfer between the environment and the wine; and temperature control regulates the humidity level to keep the wine from spoiling, the company says. Elica designed an innovative airflow technology that’s built right into a cooktop, eliminating the need for traditional vent hoods. The NikolaTesla is an induction cooktop with an aspirating 400 CFM central ventilation fan in the middle that receives electronic information from the cooking zones to automatically calibrate the ideal aspiration level, according to the manufacturer. The unit has a 10-speed touch control and a double bridge function that allows two adjacent cooking zones to combine for large pots. 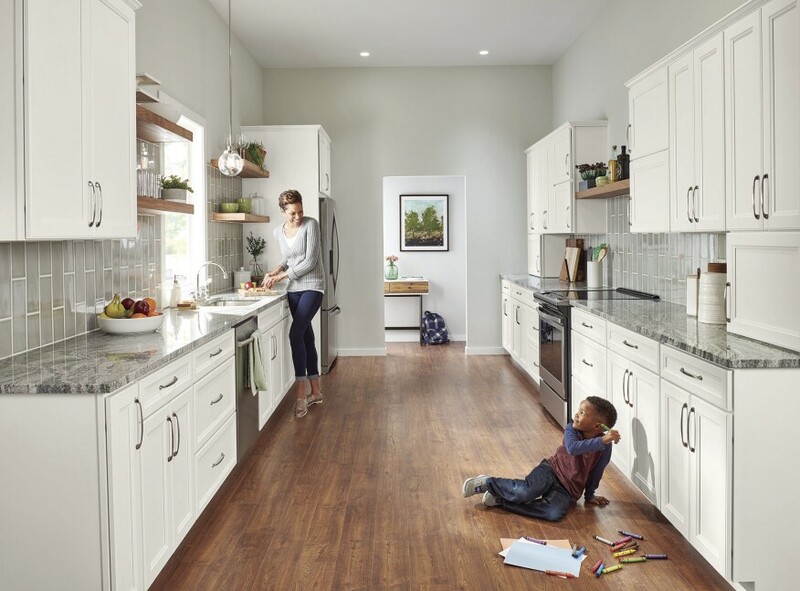 Whirlpool’s Smart Energy Star–certified dishwasher brings more space to the dishwasher with a third-level rack for hard-to-fit items. The Wi-Fi–enabled model allows homeowners to customize cycles for specific kinds of dishes and start the wash remotely from their smartphone with the Download & Go option. The model also features a TotalCoverage Spray Arm with over 20 jets to clean dishes, a sensor cycle to detect soil levels and choose the right wash cycle accordingly, and a one-hour wash cycle. 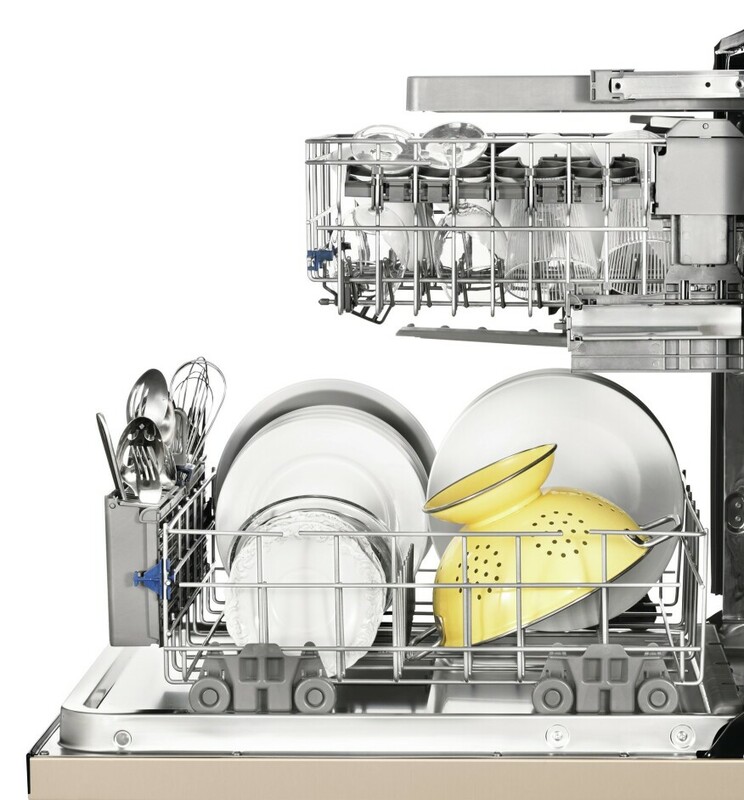 The dishwasher is available in three fingerprint-resistant finishes—stainless steel, black stainless steel, and sunset bronze. Grohe brings modern design to the shower with this slim control panel. The Grohtherm SmartControl trim conceals plumbing behind the wall and can have up to three shower outlets running through one wall plate. 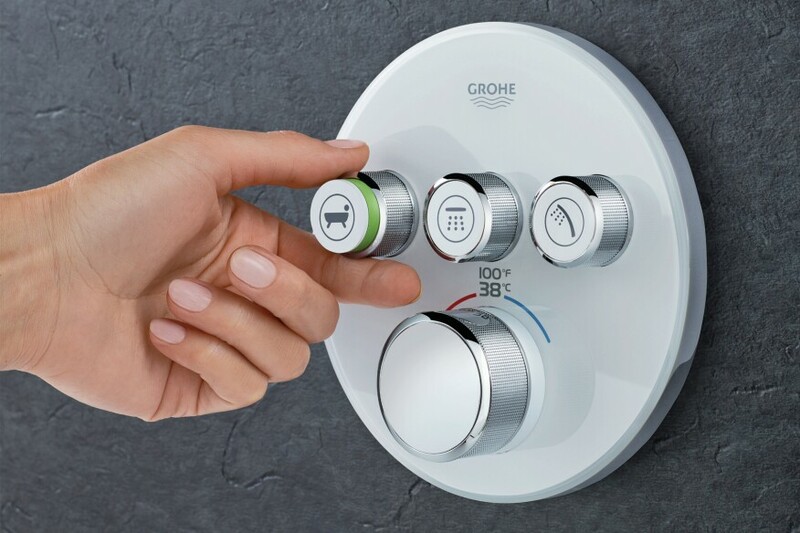 Users control the temperature and flow rate from easy-to-use push and turn buttons on the mounted thermostatic panel, while the system’s Rapido SmartBox valve powers the system behind the wall. The trim is available in either a round or square style, with options for a chrome, brushed nickel, or white finish. 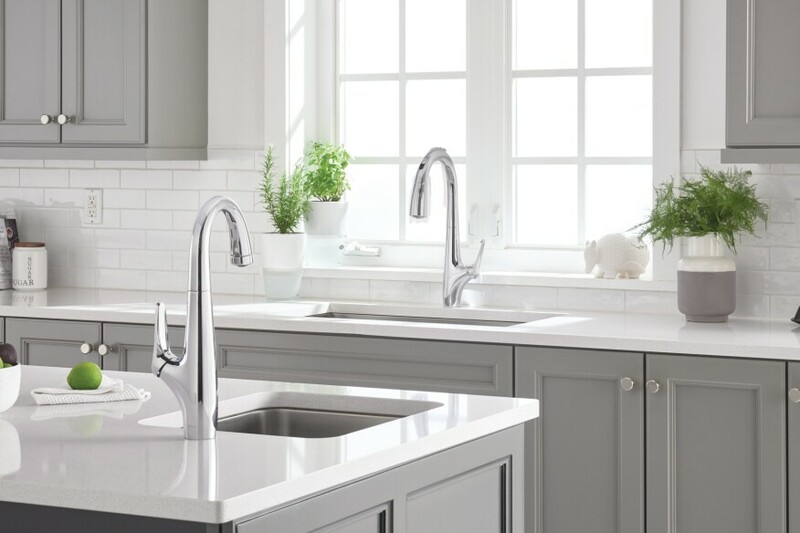 The Avery pull-down kitchen faucet collection gives homeowners hands-free flexibility while cooking or cleaning up. The model uses a wave-on/wave-off functionality to help reduce the risk of cross contamination when cooking. Users also have the option of switching to manual operation by closing the sliding door on the faucet spout to cover the built-in sensor. The faucet has a two-function spray with stream or spray options, and a pause button for filling containers and pots outside the sink. It comes in polished chrome and stainless steel finishes. GE Appliances describes the GE Café Pro range as the centerpiece of the kitchen for those that love to cook. 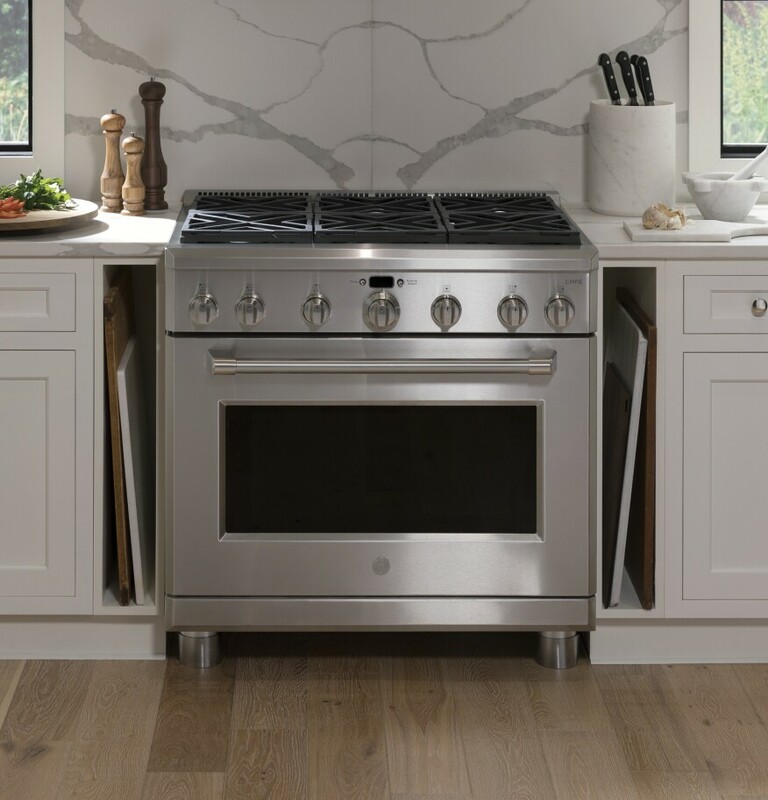 The stainless steel appliance comes in two professional-grade sizes—36 inch and 48 inch—each featuring six dual-flame gas burners that deliver a full spectrum of heat settings, from an ultra-low, 140-degree simmer to an intense 18,000 BTU. Reversible burner grates are flat on one side and contoured on the other to accommodate round-bottom woks. The extra-large oven accommodates a variety of bakeware and cooking sheets, including a full-sized caterer’s tray. Designed with compact spaces in mind, the Delta Emerge Shower Column is a sleek and modern shower system that’s easily installed as it doesn’t need to be plumbed through the ceiling or wall. 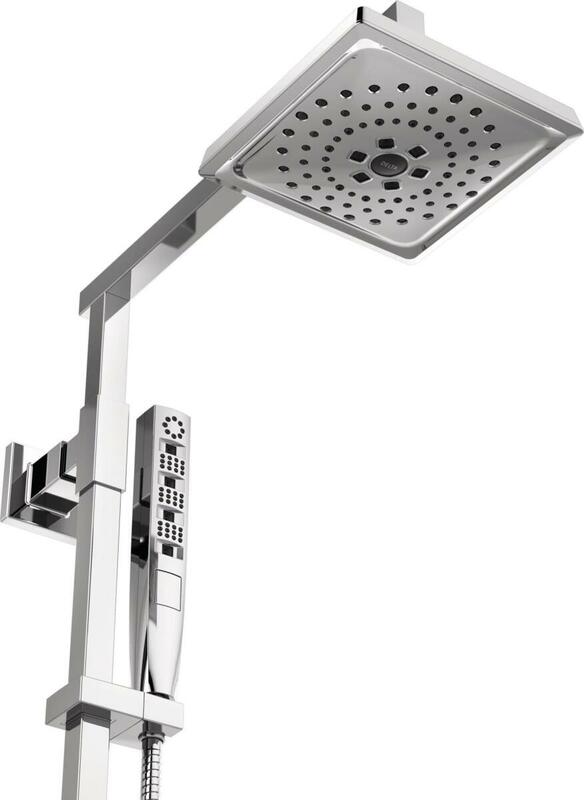 The column can be customized with any Delta overhead showerhead on the 15-inch arm, and a handshower with a 60- to 82-inch stretchable metal hose can be added to the exposed pipe. For more convenience, the column features an adjustable handshower mount, allowing the handshower to move up and down with ease. The column comes in chrome and stainless finishes. Schluter Systems introduced three grate designs that integrate with its Kerdi line 4-inch-square point drains and linear drains in lengths from 20 inches to 48 inches. Pure offers a clean, refined look while Curve (shown) features soft, rounded lines. Floral is a nature-inspired design featuring a symmetrical petal pattern. 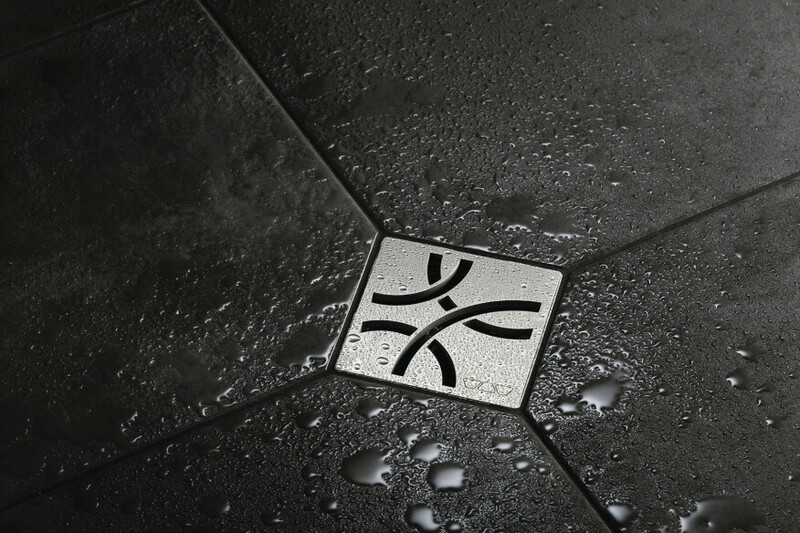 The grates have no screw holes and fit into a virtually invisible frame for a seamless look in the shower. Both grates and frames are made with brushed stainless steel. 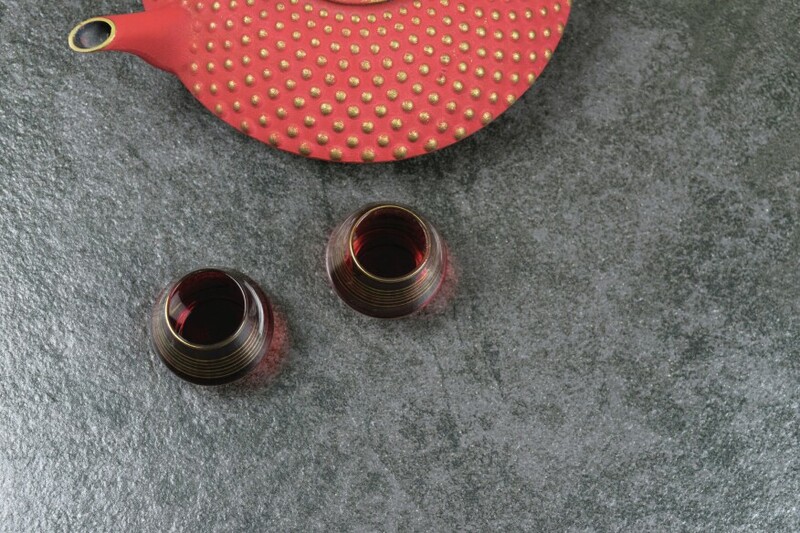 Quartz Composite from Formica Corp. is inspired by the look of traditional quartz and is created from concrete and recycled glass. 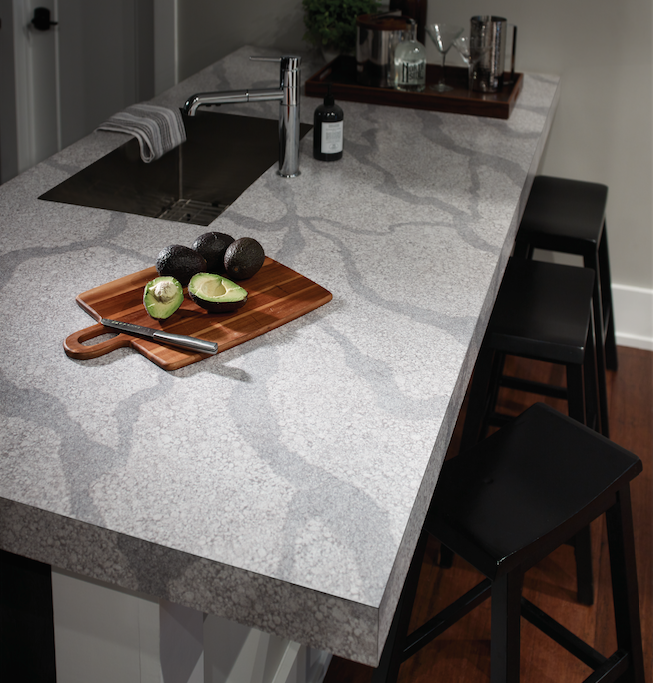 The first man-made pattern in Formica’s 180fx collection, Quartz Composite features medium- to fine-fill background particulates and a blue-gray vein. Formica’s Artisan finish creates a smooth, slightly glossy surface that brings out the details of the pattern, according to the manufacturer. The Chef Center transforms the traditional kitchen sink into a hub for food preparation. 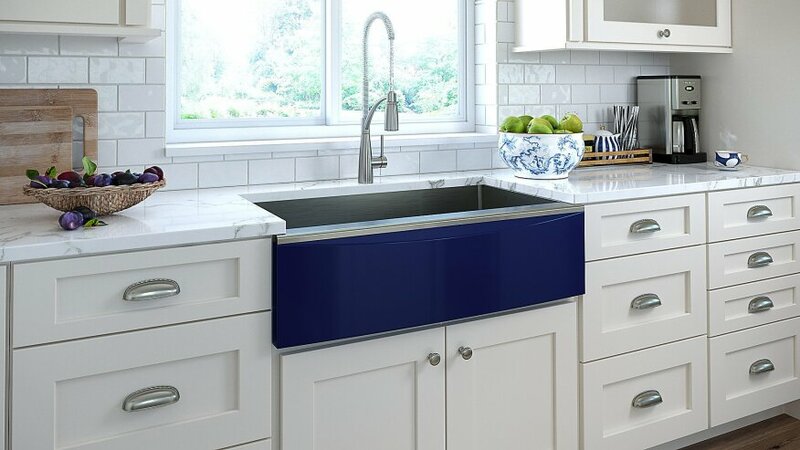 The large 18-gauge stainless steel sink comes in three sizes for 33-, 36-, and 45-inch cabinets, and comes with customizable compartments so homeowners can personalize their workspace. 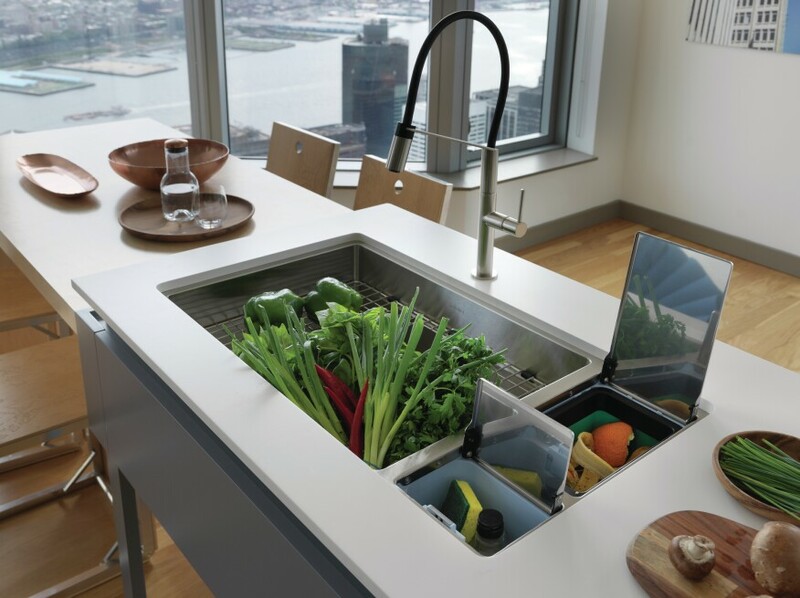 The Chef Center features two removable, antimicrobial compartments that can be used as a compost bin, storage bin, wine bucket, and more, and comes with a variety of accessories including a cutting board, colander, sink grid, drainer board, and a dishwasher-safe Roller Mat for drying and draining dishes. Elkay’s Crosstown Stainless Steel Farmhouse Sink with Interchangeable Apron Front gives homeowners the ability to change the design of their kitchen in minutes without having to replace the entire sink. Apron fronts are available in several colors and materials, including stainless steel colors and white fireclay. On select models, a low center divider allows pan handles to extend over the center and makes it easy to wash large items, like baking sheets, over both bowls. Toto has developed what it says is the first zero-gravity bathtub in which bathers experience total weightlessness. The Flotation Tub with Zero Dimension Technology is contoured to make taking a bath more relaxing through a reclining body posture that mimics the position of astronauts in zero gravity, the firm says. 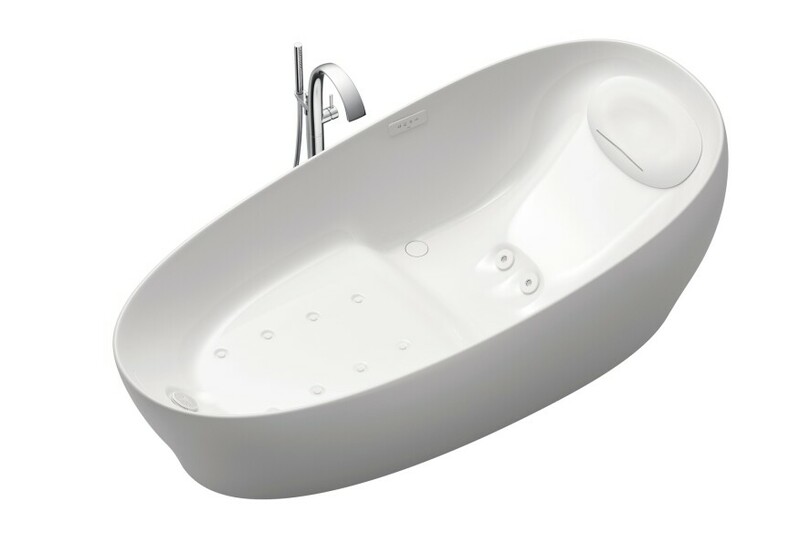 The tub is made from Toto’s manmade marble and polymer material, which the company says resists stains, scratches and cracks. Niagara Conservation’s Nano toilet uses the company’s vacuum-assist Stealth technology to achieve an average of 0.6 gpf. 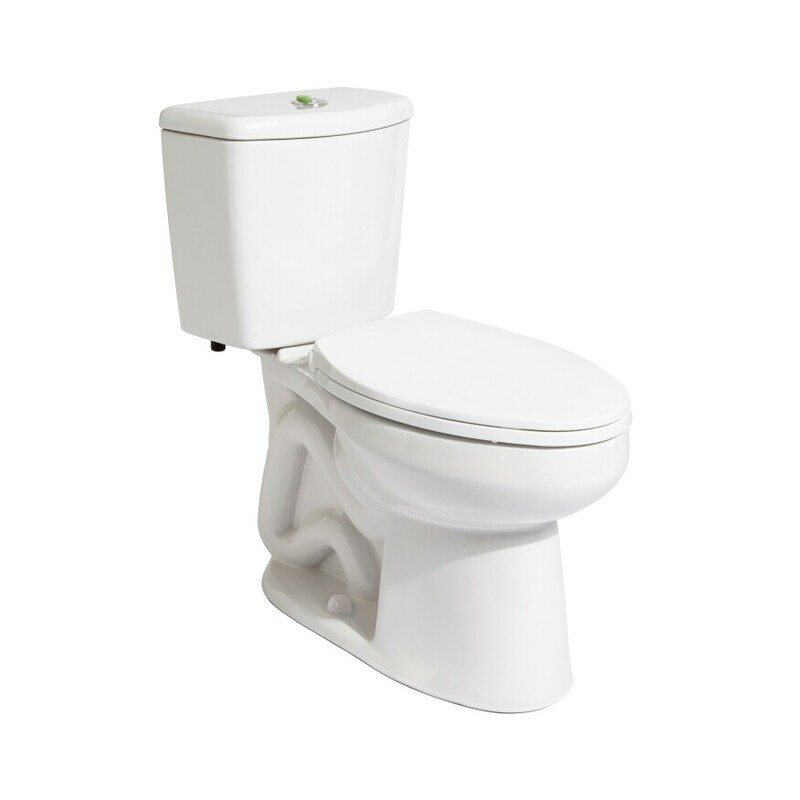 WaterSense certified and MaP Premium rated, the toilet is touted as one of the most water-efficient on the market. The Nano’s compact design is ideal for tight spaces, the company says, while its elongated bowl preserves user comfort. The toilet also includes a noise-cancelling water tank and 10-year warranty. The new Kohler Konnect platform brings voice control to the bath. Consumers can control features of an intelligent toilet, adjust the lighting in a mirror,run a shower, and automatically fill a bath by using voice commands through Amazon Alexa, Google Home, Apple HomeKit, or through an app on their smartphone. 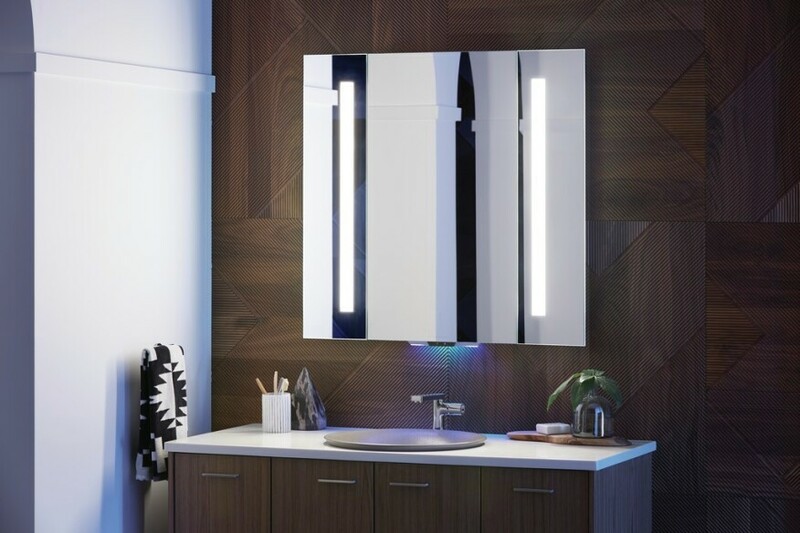 The Verdera Voice Lighted Mirror (shown) incorporates a microphone for voice control and can connect to other Kohler products in the bath. 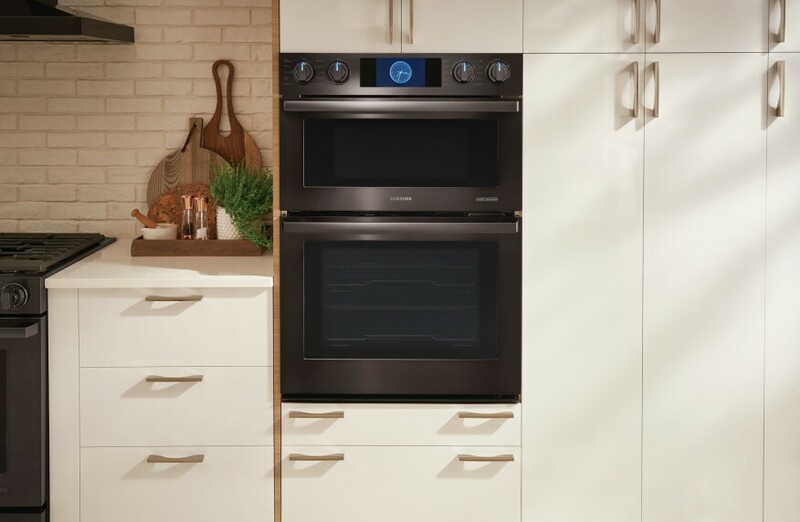 Samsung recently redesigned its 30-inch built-in, flush-mounted wall ovens, in single or double configurations. The ovens feature a removable Flex Duo smart divider that splits the oven cavity into cooking sections to create independent ovens that can be set at different temperatures. The ovens also have a one-touch steam cook tray for optimal cooking and convection settings. Two finishes are available: stainless steel or matte black stainless steel. The Wolf Signature line of cabinetry features the company’s proprietary “SmartShield” technology. SmartShield is a continuous, protective laminate wrap that emulates the look of painted wood while reportedly reducing the effects of moisture intrusion, delamination, and cracking that can occur with painted wood. Wolf Signature With SmartShield cabinets are available for “quick ship delivery” in one door style and four finishes, and as a special order in three additional door styles in four finishes. Wolf Signature cabinets also come in nine maple door styles in 13 finishes and two birch door styles in 10 finishes. Neolith unveiled four new colors this year in its line of stone countertop surfaces. Retrostone is a mosaic of marble and granite chips set in concrete stone that creates a kaleidoscopic effect; Mirage is inspired by textured sandstone; Krater draws on the dark tones and inky shades of natural soapstone; and Calatorao is a distinctive, fine-grained limestone which has been hewn from the world-famous quarries of Zaragoza, Spain, for over 2000 years. The surfaces are natural, recyclable, durable, and low-maintenance, the new colors are available in 6mm or 12mm thickness and a silk finish. 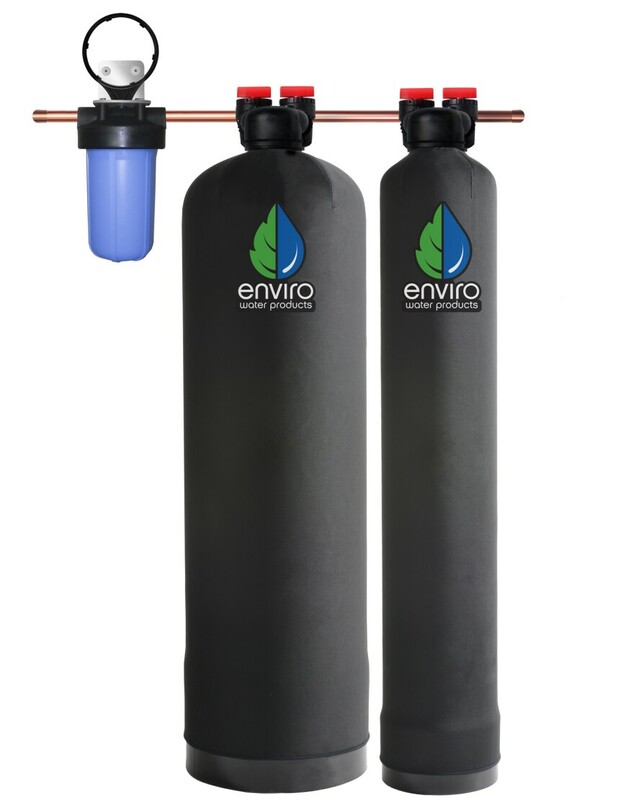 The Pro-Combo 2.0 water filtration system protects homeowners from harmful chemicals in water. The filtration device attaches to pipes, and includes a sediment filter that captures sand, rust, silt, and debris down to 5 microns in size; a carbon tank that reduces chlorine and removes chloramine taste and odor from water; and a NaturSoft tank to protect appliances, plumbing, and fixtures from 99.6% of damaging scale. The company says the system uses no electricity, does not discharge salty brine into the environment like a salt-based softener, and doesn’t waste water.